Instagram’s website is showing a curious error right now for many users that the company’s security certificate is invalid. 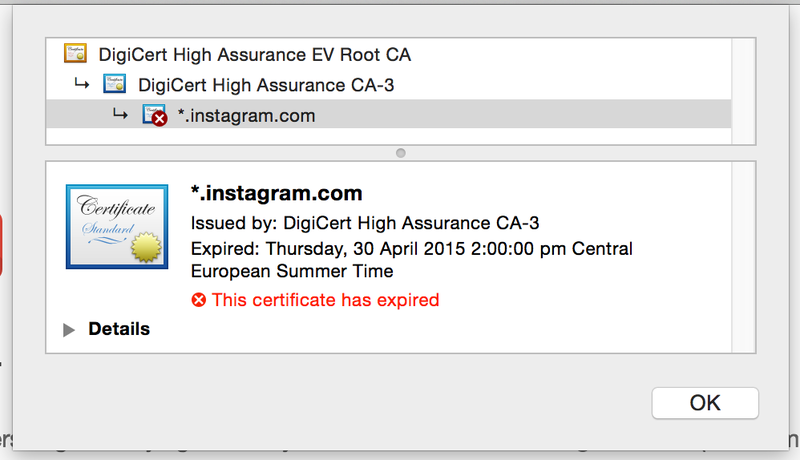 It appears that Instagram forgot to renew its security certificate, as it expired at 2PM Central Time on April 30. It’s causing errors for anyone that tries to visit the company’s website right now and Chrome blocks access entirely. Instagram’s mobile apps seem to be working without issues so the problem only affects the company’s web interface. Evidently even the biggest companies forget to renew their certificates occasionally. We’ve contacted Instagram for comment and will update when we hear back.